1. In a bowl, mix the minced turkey with the shaoxing cooking wine, minced garlic, ginger and chopped spring onion. Add in sesame oil, season the mixture with sweet soy sauce/oyster sauce, salt and pepper. 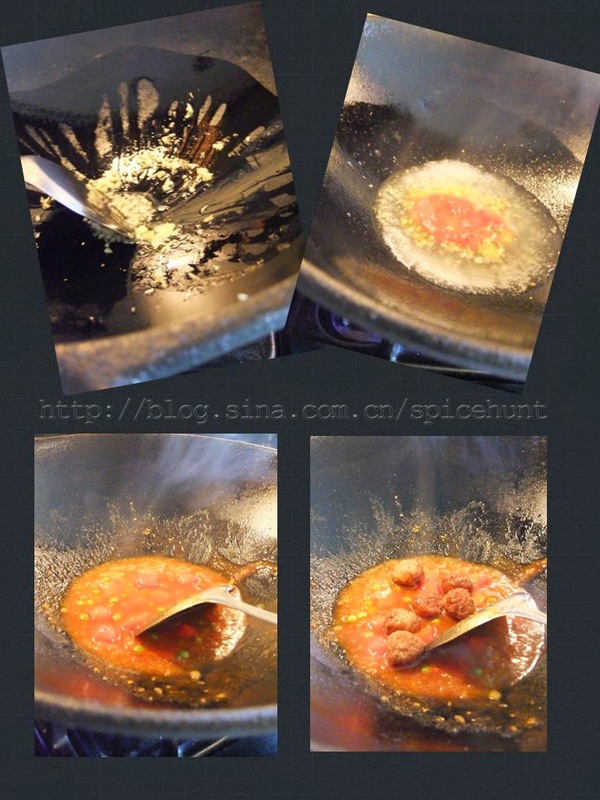 Use a spatula or a pair of chop sticks to stir the mixture quickly for few minutes until well blended. Set it aside for 20 minutes before frying. 2. Wet hands and roll the turkey mixture into mini meatballs around 1.5 cm in diameter. I made around 30 pieces out of my mixture. 3. 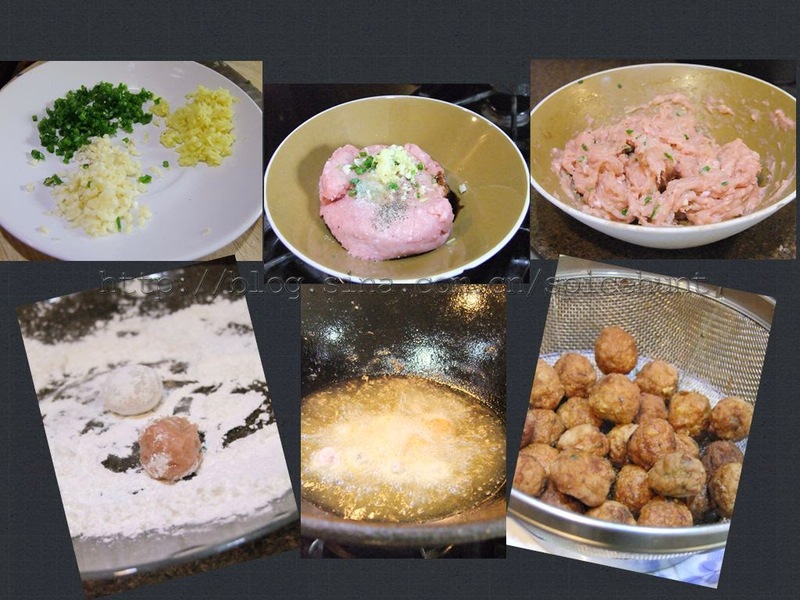 Heat up 1 cup of cooking oil, dredge meatballs in corn starch or rice flour, fry them in batches until golden brown. Dish out and drained. 4. 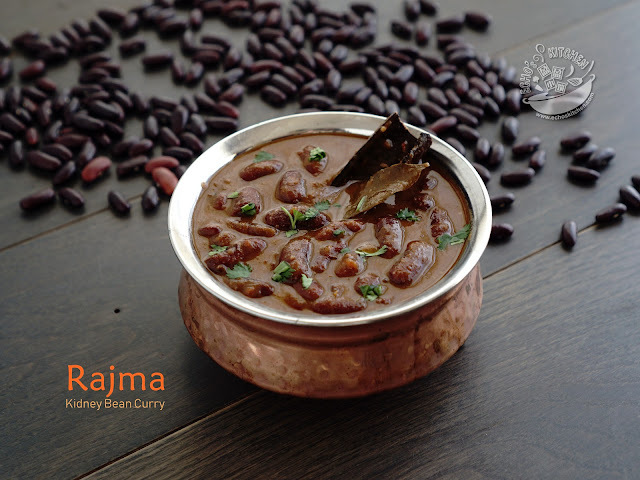 Heat up 1 tbsp of oil in a cooking pan, stir in minced garlic and ginger until fragrant. 5. Pour in 1/2 cup of water and 1/4 cup of tomato ketchup. Stir well, add carrots, cherry tomatoes and peas. 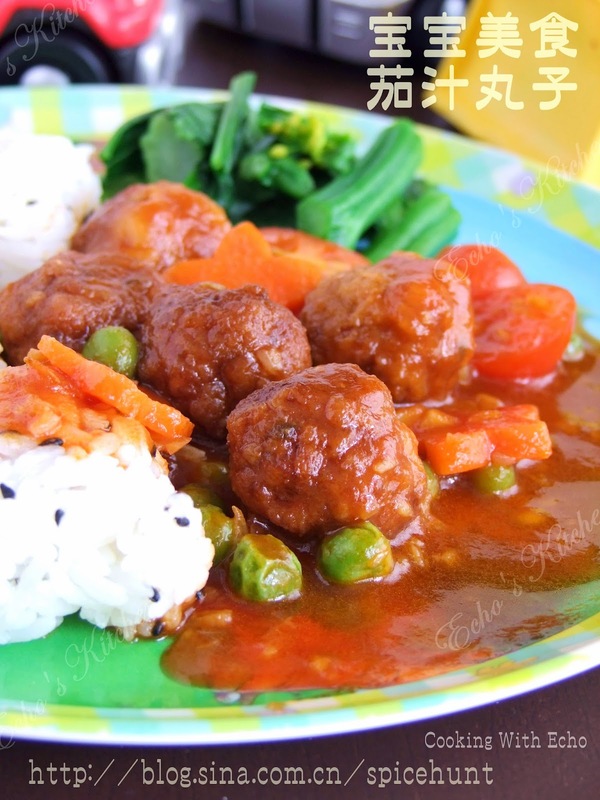 Cook for 1-2 minutes, add meatballs and turn quickly until meatballs covered with sauces. Test the seasoning and adjust with sugar and salt if needed. (I didn't as A likes the taste of tomato sauce as it is.). 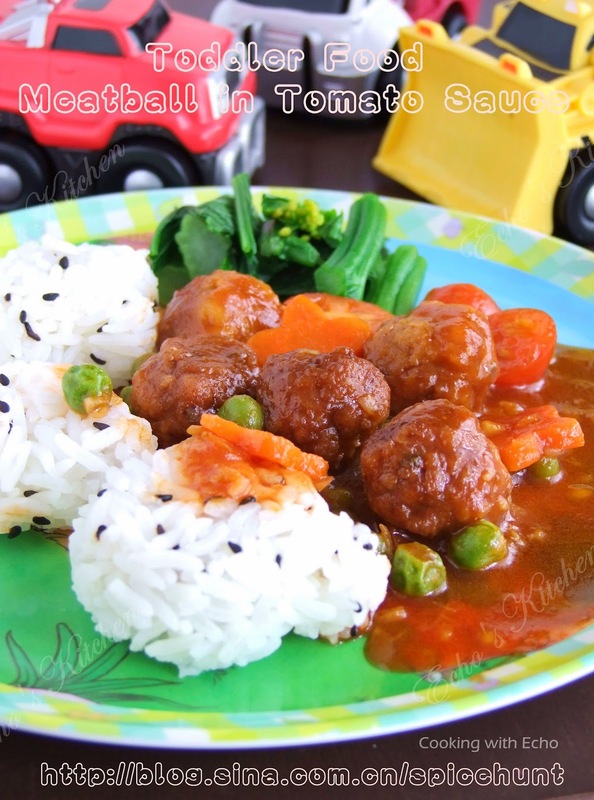 I serve the meatballs with some steamed rice (added a little black sesame) and steamed green vegetable.